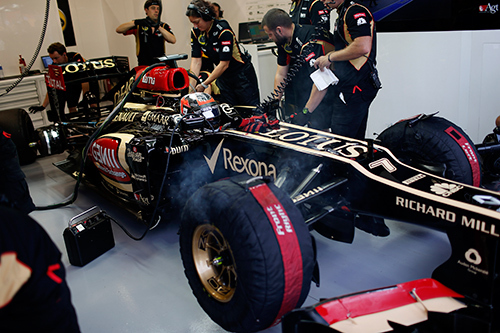 Lotus will no longer use the 'passive DRS' system that has often appeared on the black and gold E21 in 2013. "No, it probably won't be seen again this season," said the team's trackside boss Alan Permane. "We have not given up on it, but it still doesn't work perfectly," he told Germany's Auto Motor und Sport. "And we simply don't want to spend any more time on it. "Our technical department is now working more or less exclusively on the car for next season," Permane revealed. Meanwhile, Autosport reports that, after an 18 month shutdown, Ferrari will finally reopen its own wind tunnel in late October. The great Italian team has been using Toyota's Cologne facility since identifying correlation faults with the Maranello tunnel, which has also been upgraded. "It is like playing basketball with one hand behind your back. You can do that for training, but when you have to play it's better to use two hands," team boss Stefano Domenicali is quoted as saying.